Bring home this saree that comes with a blouse piece from Ishin to enhance your wardrobe collection. 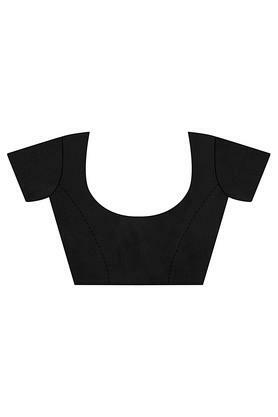 It has been crafted from premium quality poly silk, which ensures comfort and also makes it easy to maintain. 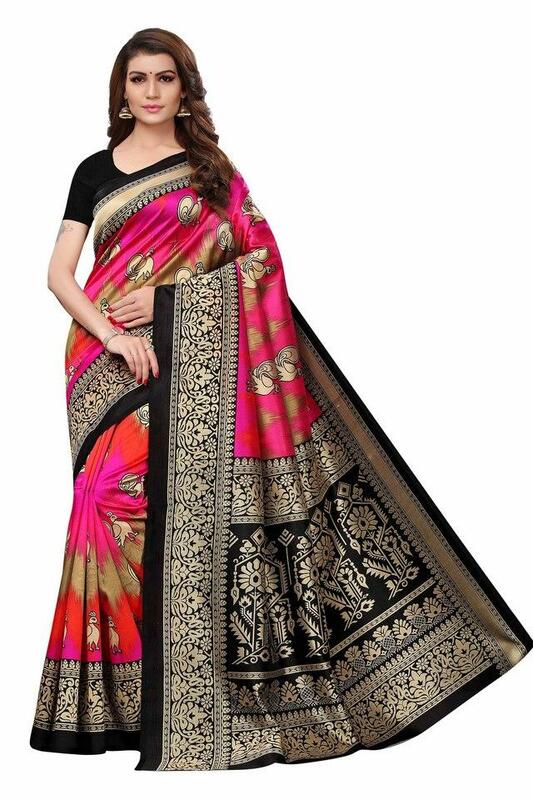 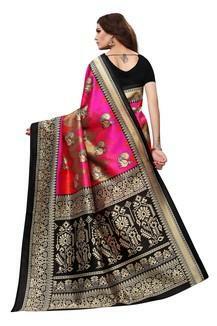 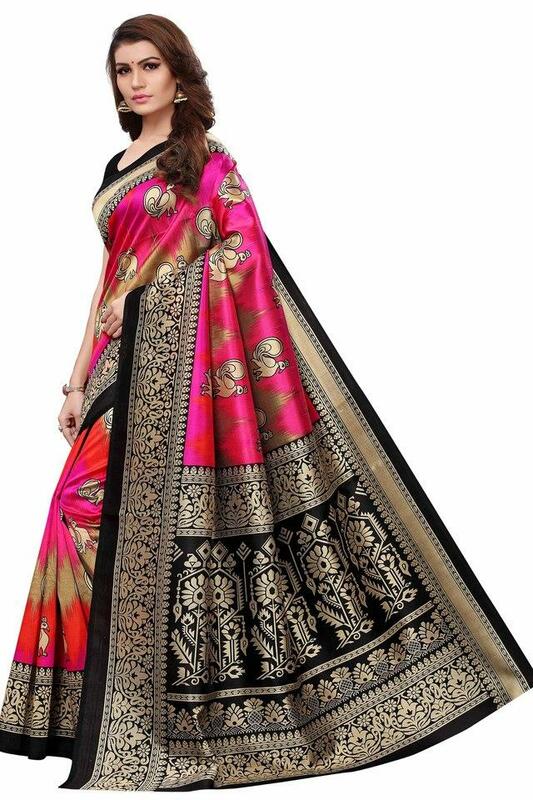 Besides, it features a beautiful golden weave work which along with the print pattern further accentuates the design.